This fun game mixes two great classics that have triumphed in the Smartphone and Tablet of half the world. 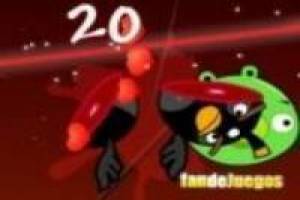 It' s about the Angry Birds and the Fruit Ninja that have come together in this single game for you to have great moments of fun. 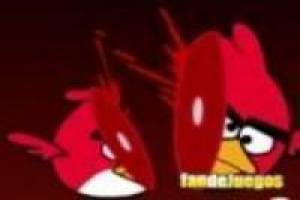 The birds of Angry Birds will appear on the screen and you will have to cut them in half to add points to your marker. You have to be careful not to cut a bomb because it will explode and you will lose one of your lives. Survive as long as possible and get a great score. When you have exhausted your three lives you will have lost and you will have established your own personal record. In the following games you should try to overcome your personal brand. Do not forget to challenge your friends to beat your record and see who is best at this game. 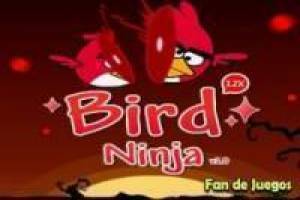 Enjoy the game Angry birds: Ninjas, it's free, it's one of our angry birds games we've selected.